Prerequisites: Part 1 and 2 are required to complete prior to Part 3. These are available as online courses for $325 each. Click here for information or to register. Level 3 will explore advanced therapeutic approaches for patients who have stabilized the Base of Support (BOS) but who have difficulty organizing the spatial (ambient) visual process for higher level activities such as being introduced to environments that are busy or over-stimulating (eg. shopping in a super-market), or attempting to read but experiencing difficulty with movement of print and headaches. The role of the ambient process will be explored relative to stabilizing the visual field. Parallax will be used to demonstrate how to stabilize the ambient process together with movement and posture. Visual field loss will be discussed in regards to the bi-modal process and the relationship to motor-sensory dysfunction. Therapeutic activities will be demonstrated in addition to new methods of therapy with prisms and technology. Neuro-Visual Postural Therapy (NVPT) will be used to demonstrate how to affect homonym outs hemianopsia as well as field compression from PTVS causing ‘tunneling’. 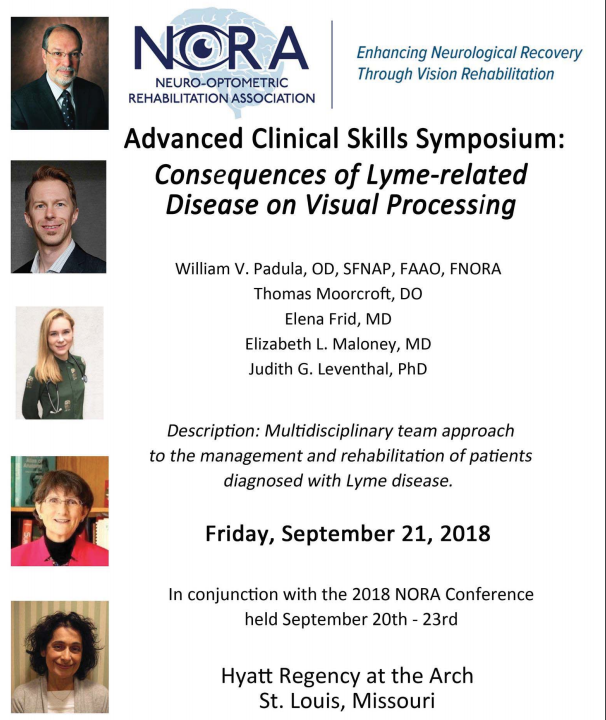 Develop treatment strategies that recognize three levels of visual dysfunction as well as incorporating three levels of NVPT methods to affect rehabilitation. This course is a workshop format. Three course programs will be given that are successive and that will build on the skills and understanding of the participants. It is not necessary to sign up for the full program in order to take the initial level. However, in order to complete the course, Course1 through Course 3 must be completed in succession. To join in to Part 3, you must purchase and view the videos of Parts 1 and Part 2. Padula Institute of Vision is pleased to bring you Part 3 of a 3-Part workshop.